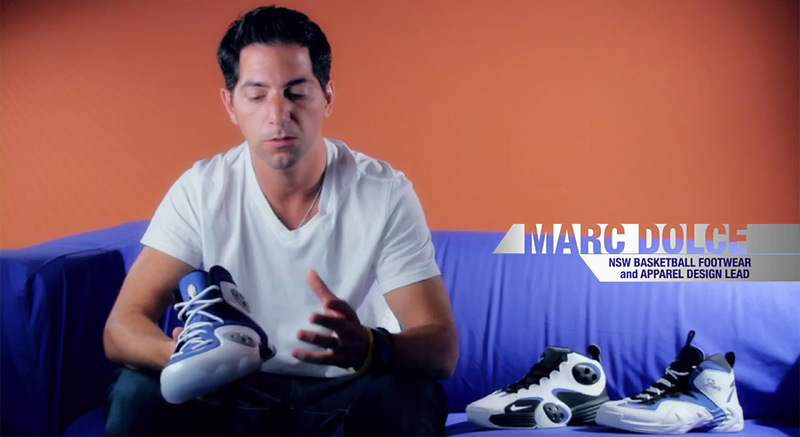 Hear all about the inspiration and design details found in the Zoom Rookie LWP straight from designer Marc Dolce. Over two years ago, Nike Sportswear Footwear & Apparel Design Lead Marc Dolce began a new project to follow up on the 1/2 Cent and continue to celebrate the legacy of former Orlando Magic star Penny Hardaway. With the 1/2 Cent combining Penny's iconic signature series all into one sneaker, Dolce wanted to switch things up this time around and looked to the most memorable models Hardaway wore before his Air Penny collection began. Taking inspiration from the Air GO LWP, Air Up and Air Flight One, models worn during Penny's first two seasons in the league, Dolce also looked to incorporate Foamposite, Hardaway's favorite material. The new Zoom Rookie LWP was born, and be sure to check out our detailed video interview of the entire design process below, straight from Marc Dolce himself.